I am delighted to share some of my research at Number One London. Here’s a little info about me and how my research interests developed. I grew up near Chicago and spent my summers at Lake Geneva, Wisconsin, a sparkling glacial lake just north of the Illinois border. Many of the properties along the 27-mile shoreline were great mansions built by Chicago millionaires (back when a million meant something!) as their summer homes in the mid-19th century. How I fantasized about life in those huge houses. I imagined myself as the heiress daughter, beautiful beyond belief, who was destined to marry a prince. 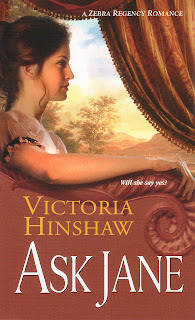 May I point out that I blame my father for giving me royal illusions by choosing the name Victoria? My mother told me her first visit to Lake Geneva was as a child in the 1920’s when she and her family visited an aunt, the Swedish cook at one of the great houses. Even the downstairs servants were allowed to invite their families from time to time. But I identified more with upstairs residents, of course. Wishful thinking. 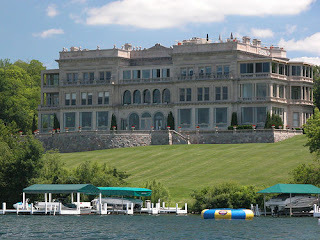 This photo of Stone Manor on Geneva Lake, WI, is used by the courtesy of Mark Czerniec. Thanks, Mark. Chicago titans like the Wrigleys and the Schwinns. This one, known both as Younglands and as Stone Manor, was built by Otto Young, developer of the long gone State Street landmark, The Fair Store, as well a real estate mogul and financier. Young was born in Germany in 1844 and died at Lake Geneva in 1906. He had been treasurer of the board of the World’s Columbian Exposition in 1893 in Chicago. If you visit Geneva Lake, you may want to schedule a tour of Black Point, shown at left. 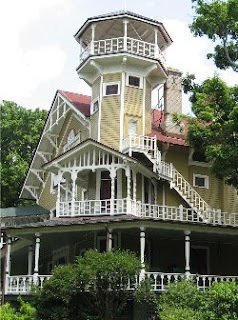 The home has been open to the public for a few years, with acess only by the cruise boats of Gage Marine. I used to come here as a teenager when Uncle Ernie Schmidt entertained the young sailors on the lake. The house was built in 1888 by Chicago beer baron Conrad Seipp, one of Uncle Ernie’s relatives. Ever since childhood, I have had a great interest in the homes of the wealthy, be it in Newport, NYC, Florida, or anywhere. Mostly, I am interested in the families who lived in these houses. And my interests widened to English country houses when I visited England as a college student. After college and grad school and time working in Washington D.C., my husband and I moved to Milwaukee where we have lived ever since, except for winters, which we spend in Naples, FL, from which I am currently writing. 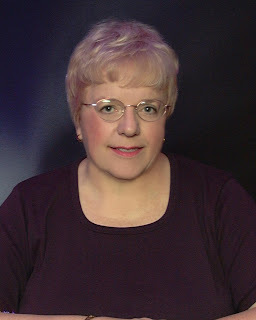 I have published a dozen books, mostly regency-era romances. Lately I have been working on some new projects about which I will write someday. But my fascination with great houses and the families that lived in them remains. A few years ago, several friends and I took a course at Oxford University (through the Smithsonian Associates) to study the history of stately homes in Britain. We were in residence at Worcester College and traveled around Oxfordshire, Hampshire and Wiltshire to various estates under the leadership of Geoffrey Tyack, as delightful a professor as I have ever known. I will be writing about some of these houses soon on this blog. But first, remember some of the earliest remains of English Country Houses are actually Roman. The Romans were in Britain for over 400 years, beginning in 55 B.C. and left behind remains from the Channel ports to Hadrian’s Wall. Bath has its famous Roman springs. 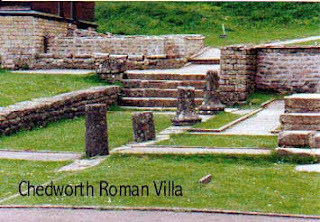 Excavations have uncovered the ruins of many country estates, such as the Chedworth Roman Villa, below, now run by the National Trust in Gloucestershire. Soon, we’ll move forward in time to a wonderful medieval house, Haddon Hall. If you have a favorite stately home in England (or elsewhere), let me know. I love to hear your experiences. I have occasionaly run into the house owners, all of whom did not pay the slightest attention to their paying guests. One was the Duke of Northumberland at Syon Park; another was the 10th Duke of Roxburghe at Floors Castle. Can’t say I blamed them a bit! But Her Grace, the lovely Duchess of Bedford actually waved to our group at Woburn Abbey.